Woman shares her story about surviving a heart defect. Registered Nurse Ali Gorman reports during Action News at 11 p.m. on February 1, 2019. A woman who survived a heart defect is helping to raise awareness about the disease on American Heart Association's National Wear Red Day. Cat Oyler is living her best life and she is finally able to catch her breath. She's running races, traveling and taking in the sights. But before this, despite always playing sports, she always felt something wasn't right. 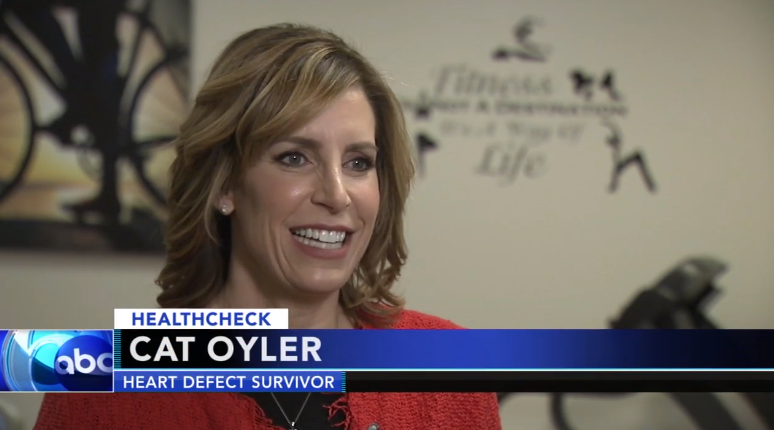 "I can remember from about 6th grade telling doctors I had trouble breathing when I ran, but they would check me and say that nothing seemed wrong and send me on my way," she said. Two years ago as an adult, it became even harder to breathe. Again she was told, she was fine. But her parents reminded her as a baby she had a heart murmur so she pressed again, something that cardiologist Doctor Riti Patel encourages everyone to do. "At the end of the day, you know your body better than anyone else. If something doesn't feel right you should talk to somebody, said Doctor Patel. And if that means getting a second opinion, or a third opinion, sometimes that opinion may change what you're going to do and sometimes it may just make you feel better about the initial assessment. In Cat's case, several more tests revealed she had a hole in her heart, a birth defect that never closed on its own. Because she was in such great shape, her body was able to compensate for years. But due to the size of the hole, Cat needed open heart surgery to close it. Because the condition is typically seen in kids, she was treated at a Children's Hospital. "It was fantastic, I got cartoon band-aids and have never been treated better in my life," said Cat. Just 9 months after surgery, she was in better shape than ever, running faster than she could as a kid. She tells others not to ignore signs and be your own best advocate. It's allowed her to truly enjoy her now survivor status. "Most recently I swan-dived off a bridge in New Zealand, one of those quintessential bungee-jumping locations, an incredible experience, so much fun," said Cat. And Cat's story is especially important because women in particular tend to advocate for everyone else in their lives, and put their own health on the back-burner. But heart disease affects just as many women as men. Knowing the signs and doing what you can to prevent problems can be the difference between life and death.